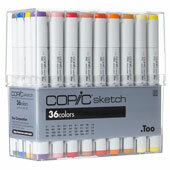 Copic Sketch 36-Marker Basic Set: SB36We are proud to bring you the Copic Sketch alcohol-based art marker series. These are perfect for blackbooks, illustrations, and use with multi-media paper applications and compatible with Molotow One4All acrylic water-based series. 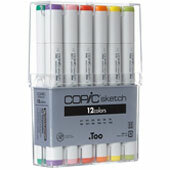 Sketch markers come in the widest range of colors, and feature the Medium Broad and Super Brush nib combination. The responsive and flexible Super Brush nib delivers a wide range of marks and makes blending easy. 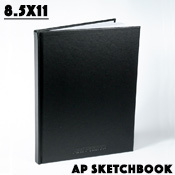 The Sketch marker has revolutionized fine art markers. The Super Brush nib feels like a saturated, long lasting, flexible brush that never frays. It gives artists the ability to spread ink smoothly in a manner similar to watercolor. The other end has a Medium Broad nib with a firm chisel tip, perfect for airbrushing and coloring large areas. 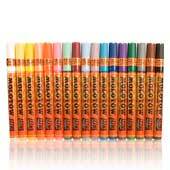 Sketch markers are commonly used for comics, storyboard illustration, fashion design, interior design, manga, anime, landscape architecture, rubber-stamping, mixed media arts, tattoo arts, calligraphy and more! 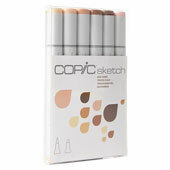 We are proud to bring you the Copic Sketch alcohol-based art marker series. These are perfect for blackbooks, illustrations, and use with multi-media paper applications and compatible with Molotow One4All acrylic water-based series. This product was added to our catalog on Thursday March 16, 2017.